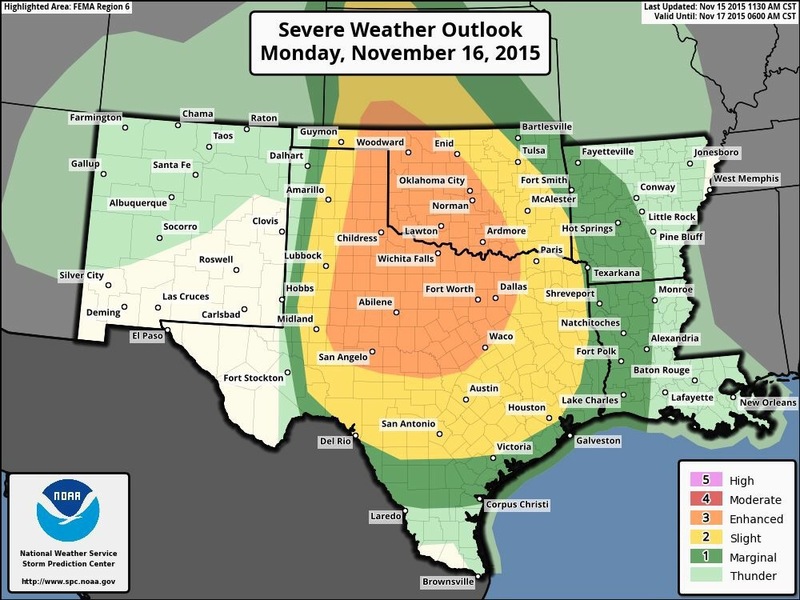 Severe storms are expected to develop across the central and southern High Plains late Monday afternoon. A squall line of strong to severe storm will move eastward through the overnight and affect the I-35 corridor around midnight through the predawn hours. The main threats will be from damaging winds, a few tornadoes and some large hail.